Heavenly Father God, yesterday, the first day of the week, we started with so many blessings that we cannot count. From the light of the sun who gives us heat and brightness, the wind that blows around the earth, air that we breathe, the water tides controlled by the moon, and many others that we don’t even know. As the psalmist expresses his joy saying: “This is the day that the Lord has made; let us rejoice and be glad in it” we also repeat the words with the same joy and faith. Sometimes we feel weak and without the strength to keep pushing ourselves. We need to rely on Your great power and ability to get us going. We pray to receive Your strength to make it through this week. We know that You will bless us and keep us; that Your face will shine upon us and be gracious to us. We would like to have the assurance that You are going to keep our loved ones safe during all of the days of this week. We pray that You build our confidence in You as You extend Your protection and care to us. We will be tempted with many things; however, it’s our desire to overcome temptation. You know exactly what our struggles will be so we ask You Lord, to provide us the opportunity to step out of them. Help us to listen carefully to the promptings of Your Holy Spirit for clarity and direction. 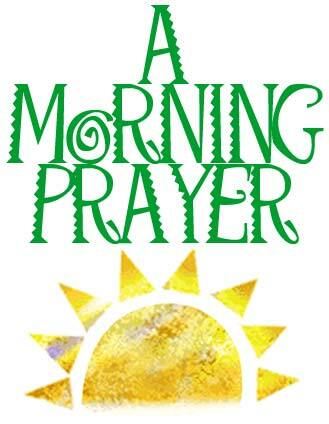 Bless us now as we start this new day with faith and confidence because you are with us all of the days of our lives. In Jesus our Lord we pray. Amen.